Charles Grimm is president and CEO of Grimmster, a New Smyrna Beach-based design company that specializes in Web development and video services. The company has operated out of New Smyrna Beach for about 15 years but recently expanded its range of products to include the design of unmanned aerial vehicles — commonly referred to as drones. 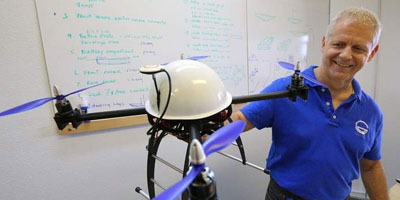 The company opened a design office in Port Orange for Outdoor Robotics, a new division of Grimmster that specializes in the design of framing and structural components for UAVs.